Stila is not a brand that I own a lot of. I have a few lip glazes and an eyeshadow duo, but I think that is it. I remember in high school wanting their All Over Shimmer in that original packaging that had the stars on the cap. I did not even know what the product really did at the time, I just knew I wanted it after seeing it in Seventeen and Teen magazines. I never did get it and they've since changed the packaging. Bummer. 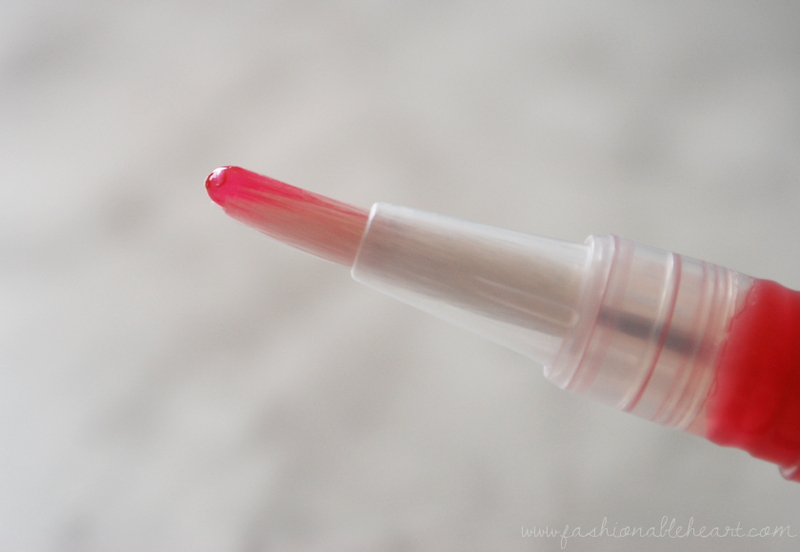 I got this lip glaze in Wildberry and another in Strawberry Cream (swatch coming soon) from Kerri. 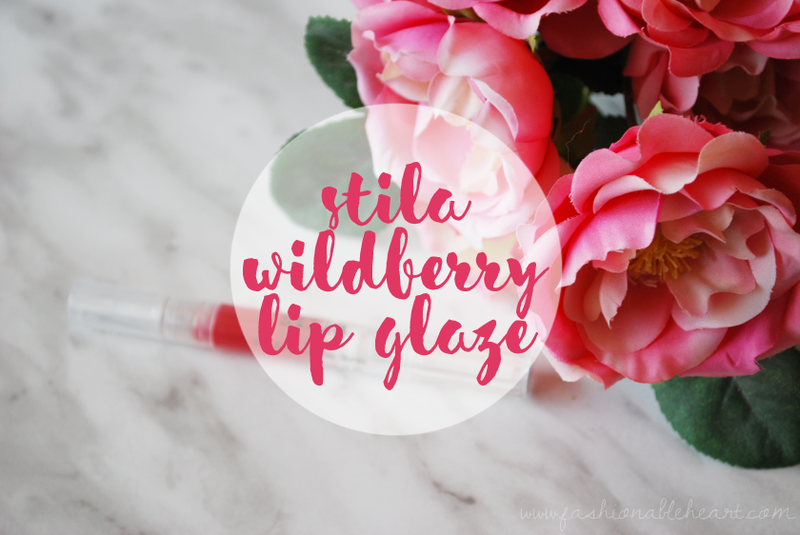 I have a few Stila lip glazes in my collection and I definitely think there are pros and cons, which I will be sharing. While Wildberry is not currently offered, here are the ones that Sephora has in stock right now. With that said, you might have luck finding this shade and others at your local Winners, TJ (or TK, if in the UK) Maxx, etc. I like the click pen applicator to an extent. It always feels like you have to click until your fingers ache for that first bit of product to finally come through only for it to come gushing out. The brush makes for an easy application. In the swatches above, the middle is Wildberry with nothing on my lips. The right shows it plain and layered over my Rimmel London Kate #17 lipstick. You can layer this just like a normal gloss. Some of the shades available have better color payoff. This one is rather sheer, so if you want color with this one, you may want to go the layering route. It definitely adds shine. For my personal preference, I don't really like when products feel heavy on the lips and these can feel heavy and sticky. I also feel like with the amount of product you need and with reapplications, these won't last long for the price. With that said, that is when getting them on sale or at a discount pays off. Often times, Stila is a part of those Black Friday and Boxing Day deals that Sephora has every year. These can add a nice variation to your collection for layering purposes or if you like sheer washes of color. I don't write these off, because I do like them a bit more in the winter. I think they are a little too thick for my liking in the warmer months. 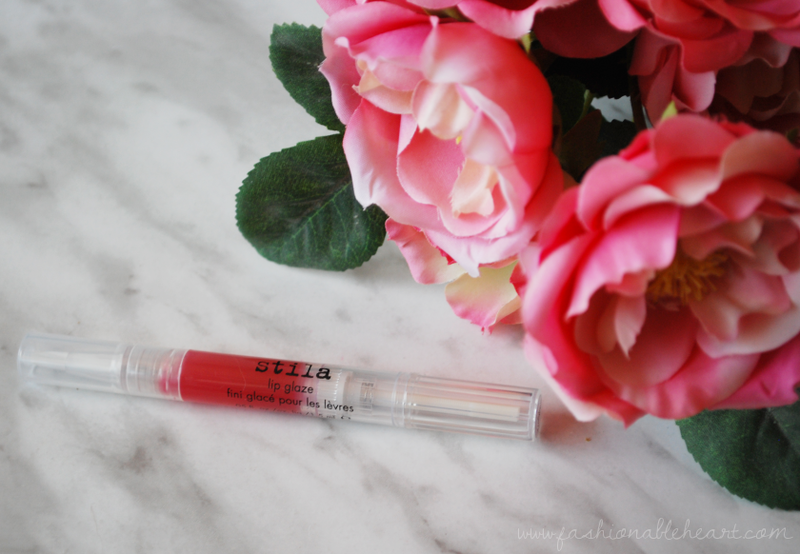 Have you tried any of the Stila Lip Glazes?